Long trips & multi-day events not possible with your schedule or budget? Try this! Title: “Possibilities! The Hudson comes to the Peace” (“River” that is) Primary Area Served: From Sarasota/Bradenton to Naples/Marco Island and inland (Everyone is welcome) Date: Saturday, April 13, 2019 --- 7:00 AM until 8:00 PM Theme: Writing’s possibilities! Areas included: Books (fiction & non-fiction), Magazines, Newspapers, TV/radio, & Electronic media. Location: Charlotte County Cultural Center, Port Charlotte Program: One jam-packed day of writing possibilities featuring 70 individual classes, discussion panels, and a special keynote speaker. One to One Sessions: A special opportunity! – Have your writing reviewed or pitch your work to a publishing professional … including 16 agents and editors from NYC. Submit your sample/pitch in advance and spend 20 minutes with someone who may aid you in your writing career. Meals: Breakfast, lunch and dinner are included in the registration fee. Spare yourself the expense of a major trip. Attend a high quality event that brings quality presenters and publishing professionals to Southwest Florida. The conference is centrally located … a two hour drive for anyone in the primary service area. Reasonable hotel accommodations are available with blocks of rooms reserved. Conference registration is limited! Discounts for early bird registrations! Schedule of Events For more information go to: http://www.abc-artisansofbooks.com/writer-conference.html Information about registration here. The 8th Annual Venice Book Fair and Writers Festival will take place Friday & Saturday, March 15-16, 2019! Ten tellers perform tales of laughter, emotion, and excitement. From personal stories to tall tales, folk tales to fractured stories, and more… Sponsored by Storytellers of the Round Table. FeaturingDistinguished Toastmasters: Joel Ying, Mary Lou Williams, Tashahara Jallad, Rhonda Brazina with ... Marilyn Graham, Lisa Leonhardt, Tony Marr, Phyllis May, Pam Minton, Leonor Reales Wednesday, January 30, 2019 7pm—9pm Alliance for the Arts 10091 McGregor Blvd, Fort Myers, FL 33919 Tickets $20 (Alliance members $15) Box Office: (239) 939-2787 https://artinlee.org/event/elephantiii/ Saturday, February 2, 2019 from 10:00 am -12:00 pm at the Southwest Florida Military Museum Charley Valera, author of My Father’s War and GCWA member will present a free workshop about developing a compelling pitch to promote your book. He will help you formulate a One Sheet that presents your book, you, and your anticipated audience in an interesting concise format. Charley has attended several classes and an extensive week-long conference in NYC on promoting yourself, your business, and your book to all levels and types of media including many of the largest syndicated networks and papers. He has used this knowledge in pitching his book to literary agents, TV producers, newspapers, freelance magazines, national radio, and various other media. The workshop will be held at the Southwest Florida Military Museum and Library at 4820 Leonard St., Cape Coral, FL 33904. The museum will be hosting a pancake breakfast that day from 8:00 am-11:00 am. The cost will be $8.00 per person. You are welcome to attend the breakfast prior to the workshop. Please join us for another enjoyable Spoke Wordplay evening. 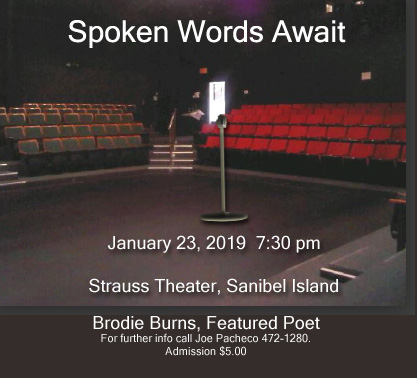 Young.Sanibel performance poet Brodie Burns will be our featured poet. Sanibel and SW Florida poets and writers will perform their works. Marjorie and Joe Pacheco will read tennis poems. Members of the audience will be invited to perform original or favorite works. 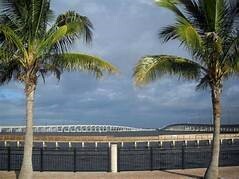 As winter drags on, March in South Florida is the place to be! Our all-suites conference hotel has a gorgeous outdoor heated pool, free made-to-order breakfast daily, and a complimentary evening reception as each day winds down. Since 1994 SleuthFest has connected authors with agents and publishers and helped writers improve their craft learning from award-winning and best-selling writers like T. Jefferson Parker, Tom Straw, Alex Segura, and Alexia Gordon. You’ll have the opportunity to pitch your finished manuscript to agents like Tess Callero of Curtis Brown, Cari Lamba of Jennifer de Chiara Agency, Nicole Resciniti of Seymour Agency, Michelle Richter of Fuse Literary. You can make your manuscript all it can be or jump-start if you’re stuck with a strategy session with editors Anna Michels of Sourcebooks, Chantelle Aimée Osman of Agora (Polis Books), Stacey Donovan of Hallmark or Neil Nyren, former VP of Putnam. Convinced? Great! REGISTER NOW! Registration fees increase on January 15 so don’t wait! 2019 FAPA President’s Book Awards Deadline Has Been Extended to April 15! For the 2019 awards, submissions opened on November 1, 2018. Submissions will close on April 15, 2019. This year FAPA will award gold, silver, and bronze medals in twenty-five categories. Books published between May 2018 and April 2019 that meet the 2019 Submissions Guidelines are eligible for a 2019 award. An eligible title may be submitted in multiple categories. The fee for each title/category submission is $95.00. Authorfest is back, bigger and better than ever! After five years we have gotten it right with the right place, the right time and the right publicity. New York Times Best Selling Author Lisa Black is the Keynote Speaker for the afternoon. She will have her own table and be selling her books during the day. We have a Kid’s Corner, with crafts and storytelling, and local authors reading their own books. How can it get better than this? Selected Young Writers from our writing project will read their own works & receive their rewards. We have several sponsorships by the business community and are actively seeking more. There will be professional printing of signs, flyers, and brochures; publicity announcements in 3 local newspapers; Chamber of Commerce eBlast to its members, and announcements on the radio. This is the signature event of the year for MIW Inc. The SWFL Writer’s Conference is looking for volunteers. If you haven’t registered for the conference, consider volunteering to help. List of Volunteer positions. SWFLSubmission Guidelines for One-on-One sessions. One to One Sessions: A special opportunity! – Have your writing reviewed or pitch your work to a publishing professional … including 16 agents and editors from NYC. Submit your sample/pitch in advance and spend 20 minutes with someone who may aid you in your writing career. Sponsored by Storytellers of the Round Table. Charley Valera, author of My Father’s War and GCWA member will present a free workshop about developing a compelling pitch to promote your book. He will help you formulate a One Sheet that presents your book, you, and your anticipated audience in an interesting concise format. Charley has attended several classes and an extensive week-long conference in NYC on promoting yourself, your business, and your book to all levels and types of media including many of the largest syndicated networks and papers. He has used this knowledge in pitching his book to literary agents, TV producers, newspapers, freelance magazines, national radio, and various other media. The workshop will be held at the Southwest Florida Military Museum and Library at 4820 Leonard St., Cape Coral, FL 33904. The museum will be hosting a pancake breakfast that day from 8:00 am-11:00 am. The cost will be $8.00 per person. You are welcome to attend the breakfast prior to the workshop. Please join us for another enjoyable Spoke Wordplay evening. Young.Sanibel performance poet Brodie Burns will be our featured poet. 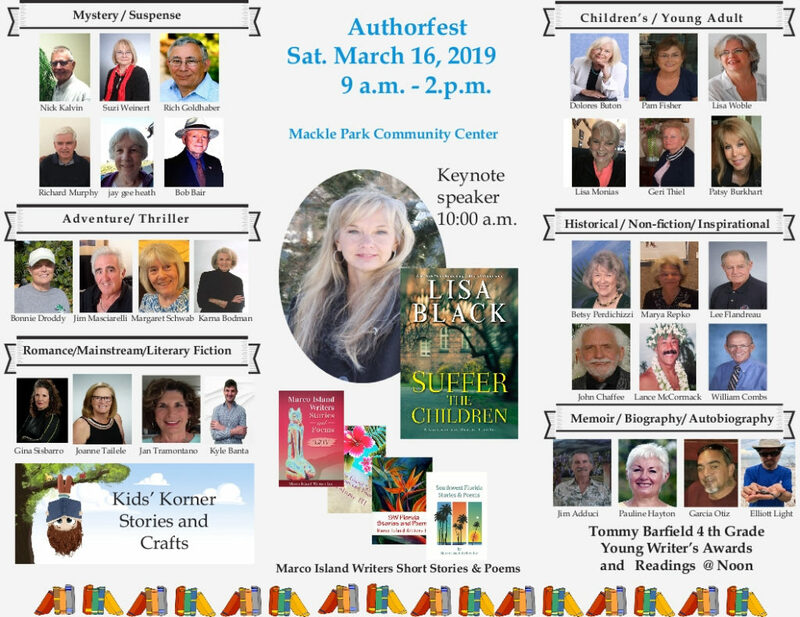 Sanibel and SW Florida poets and writers will perform their works. Marjorie and Joe Pacheco will read tennis poems. Members of the audience will be invited to perform original or favorite works. 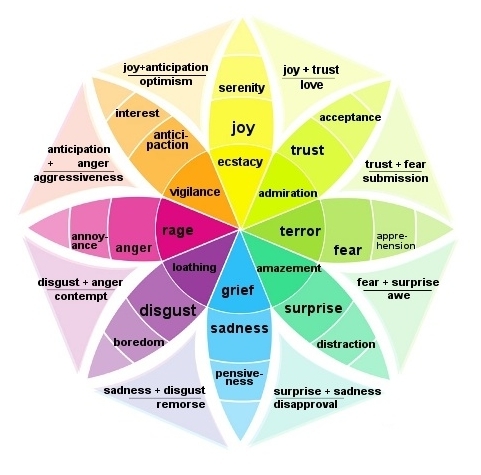 Ed Ellis will be using information as developed by Robert Plutchik (Psychologist of Note) and his emotions wheel. Please print the wheel graphic and bring it to the meeting. It will be used to explain the examples during the meeting. Meeting Date: Wednesday June 13th.